Cost-effectively meet Big Data storage application challenges now and in the future with Huawei’s large capacity, high-performance, balanced rack server. 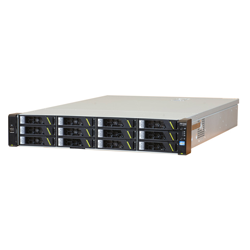 New-generation 2U, 2-socket, balanced rack server. 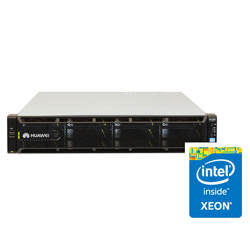 Two Intel® Xeon® E5-2400 v2 series processors, large storage capacity, flexible scalability, and superb cost-effectiveness create an ideal hardware platform for Big Data and distributed storage applications. Trusted Platform Module (TPM) and embedded black box function ensure system reliability. Baseboard Management Controller (BMC) monitors system power consumption in real time to save energy. 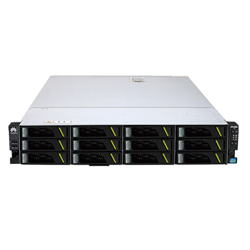 Easily handle Big Data and meet storage-demanding application challenges with Huawei’s large capacity, reliable, high-performance RH2285H V2 rack server. 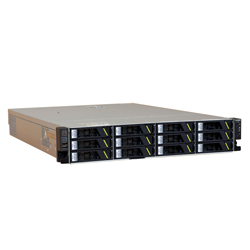 Excellent performance: Supports two Intel® Xeon® E5-2400 v2 series processors with 4, 6, or 8 cores, 12 DDR3 DIMMs, 6 PCIe slots, and Huawei high-performance PCIe SSDs and GPUs. Large storage capacity: Supports 8 to 26 2.5-inch SAS/SATA HDDs or SSDs and RAID 0, 1, 10, 5, 50, 6, and 60, provides 512 MB or 1 GB cache, and supports optional BBU or supercapacitor. High reliability: Provides multi-level security mechanisms such as Trusted Platform Module (TPM) and embedded black box function to ensure system reliability. Hot-swappable, redundant PSUs and fan modules support online replacement. High energy efficiency: BMC monitors system power consumption in real time, providing power capping and control to save energy. Management • Provides independent ports, support standard management interfaces, such as SNMP and IPMI, and provides a GUI, remote KVM, virtual media, SOL, intelligent power supply, remote control, and hardware monitoring.